What documents are required to hire the vehicle? Your photo-card driving licence, along with a print out of your driver record. Proof of address/ID: e.g. council tax bill, bank statement and/or a utility bill, (gas or electric are fine, but not mobile phone). Please note that they MUST be originals, in your name as it appears on your driving licence and dated within 8 weeks from motorhome collection date. Credit or debit card in your name and registered to your home address for security deposit. You will need to be aged between 25 and 79 at the time of the hire. We will consider drivers out with these parameters however each case is considered on an individual basis so therefore we would need you to contact us prior to making an on-line booking. Please note: you must have driven for a minimum period of 3 years. You must hold a full UK driving licence and have held a driving licence for more than a 3-year period. Any motoring accidents in last 3 years should be reported to us prior to booking. Maximum 6 points on a UK licence. Breakdown cover is included in all vehicle hires as standard. What is not covered by the standard insurance? Damage to tyres and/or puncture repairs. Damage or theft to your own property. Damage to windows or windscreens. Damage caused to the vehicle above cab height (6 feet from the ground). Damage caused by a reversing manoeuvre. Damage to rear bumpers, rear light clusters. Damage to or caused by Bike Rack. We have no objection, if you wish to purchase additional travel insurance, as you may be able to claim against it for the above exclusions, should the need arise. The standard security deposit is £1000 GBP. This is to cover the above exemptions, but not withstanding final cost of any damage. What do I do with my car while I’m on holiday? We have parking available for one car if required. The minimum hire period is usually 3 nights. Yes, we have a pet friendly motorhome. No, smoking is not permitted in any of our vehicles. What can I run on the leisure battery? When the motorhome is connected to a mains power supply, almost anything. When the motorhome is not connected to a mains power supply, all the equipment contained within the vehicle will work, i.e. hot water, central heating, fridge/freezer, lights and cooker. However, anything that requires 240v will not work, i.e. hairdryers, hair straighteners, toasters etc. Do your motorhomes have toilets and showers? All our motorhomes have chemical toilets and showers. We supply one full and one partially full gas cylinder as part of your hire. In the unlikely event that you do run out, they are readily available from a variety of stockists. Are the motorhomes ok to use in winter? 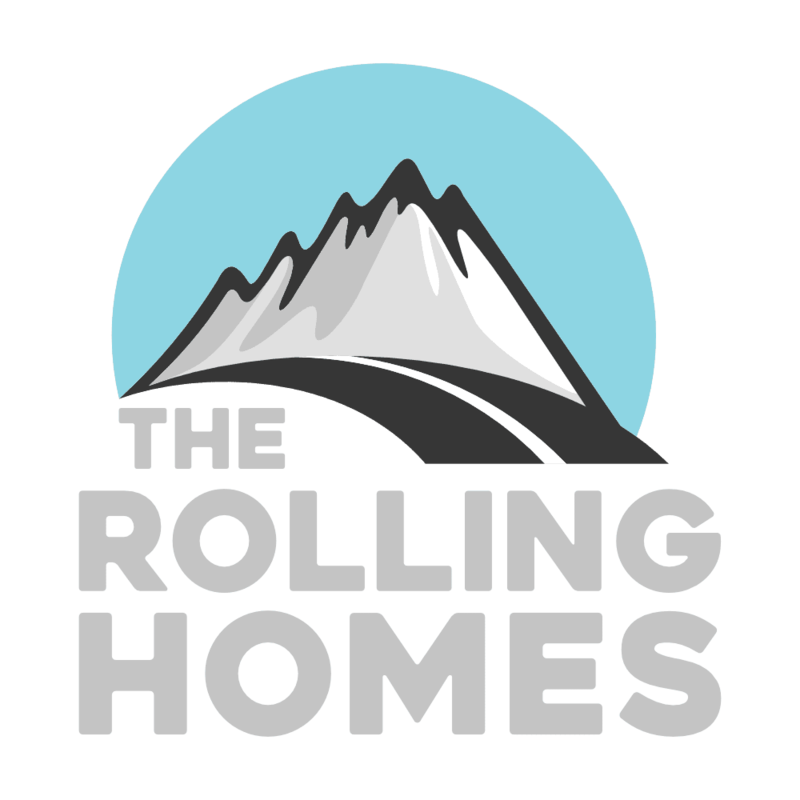 All our motorhomes are fully winterised with grade 3 insulation, and heated tanks. All vehicles have central heating so can be used all year round. Can I plug in my iPod/MP3? Yes, all our motorhomes have USB connections. 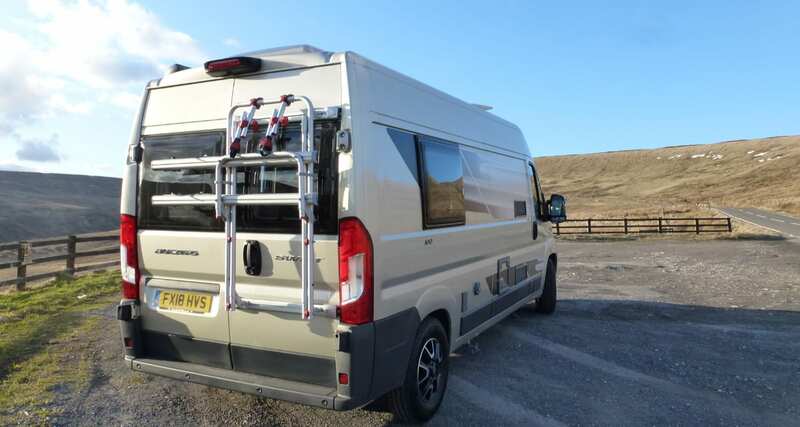 All of our motorhomes have bicycle racks fitted which can accommodate 2 bikes. All our motorhomes have a 3 or a 2 burner gas hob, an oven and a fridge so cooking is similar to your own home kitchen. Or why not have a barbeque, enquire for hire of gas barbeque. If you have read through our FAQ’s and still have some questions please give us a call on 07342 004 004. We’ll be happy to have a chat with you and discuss anything you’d like.